1/2 cup (1 Stick) Unsalted butter divided into two for applying dough and brush on the unbaked cinnamon rolls. 2 to 3 Tablespoons Warm milk. For yeast: Add 1 packet of yeast to the warm water to it and add 1 Tablespoon sugar to it. Add yeast mixture to it. Add milk one by one at a time to get smooth soft dough. Take a wide bowl.grease it with oil by using your hands. Transfer the dough to the greased bowl. Dough is added to the greased bowl. Cover it lightly not too tightly.. Can be covered it with kitchen towel or plastic wrap.Allow to rise at warm temperature for about 2 hours. Prepare the filling as given except Butter.Keep aside. Grease the butter or oil onto the rectangle baking dish or any pan of your choice. After 2 hours 'It has risen. On a work counter top surface or table top,Dust the flour and make a rectangle exactly or round shaped dough with a rolling pin. Make it exact thin sheet as how did we do for roti! Not too thin not too thick. 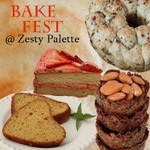 Apply the melted butter evenly on the shaped dough.Sprinkle cinnamon sugar mixture evenly on the melted butter dough. Roll it gently,but not too tightly..
Before rolling it fully apply remaining butter on to the ends of the dough. 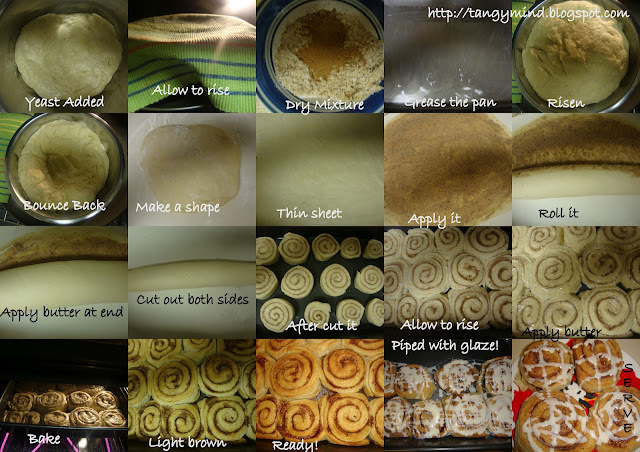 Take a sharp knife,cut at first end and the last end of the rolled dough. Slice it evenly and gently. Allow it to rise for about 1 1/2 hours with plastic wrap or lid, but not too tightly.Best time if you can wait then keep it in the fridge for about 8 hours or overnight after risen. Preheat the oven to 350 F or 180 C. Once risen,Apply butter on the top of all cinnamon rolls. Once it is light brown after eye watching it.Take out the pan while it is hot.Carefully use it with your oven gloves. Wrap fully in aluminum foil on the baking pan to avoid over browning.Put back in the oven for about 10 minutes. It is ready. For the glaze mix everything into the bowl except milk.Add gradually 1 tablespoon milk to it one by one to get thin consistency like ribbon formed. Put it to the piping bag and cut small hole and allow it to design on your choice while the cinnamon rolls are warm. Serve it with your morning favorite drink. 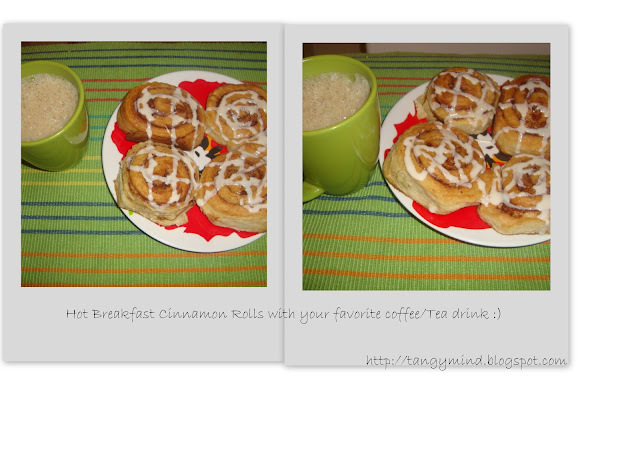 Here is my Breakfast cinnamon rolls with my favorite drink :) Enjoy it ! Looks delicious. Mouthwatering.I loved it. Love the flavour..perfectly made. Pictures are very easy to follow..
Hi Achu, I love this cinnamon rolls. 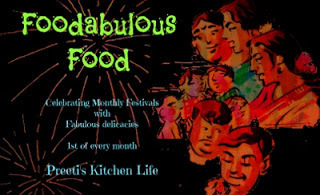 Yours look delicious and perfect. Thanks for dropping by my blog and following me. I'm following you. I love cinnamon rolls, delicious! I've been wanting to try cinnabons for awhile now..these look great! Black and White Whoopie Pies!!! Tricolor Flag Tarts :) Independence Day Special!